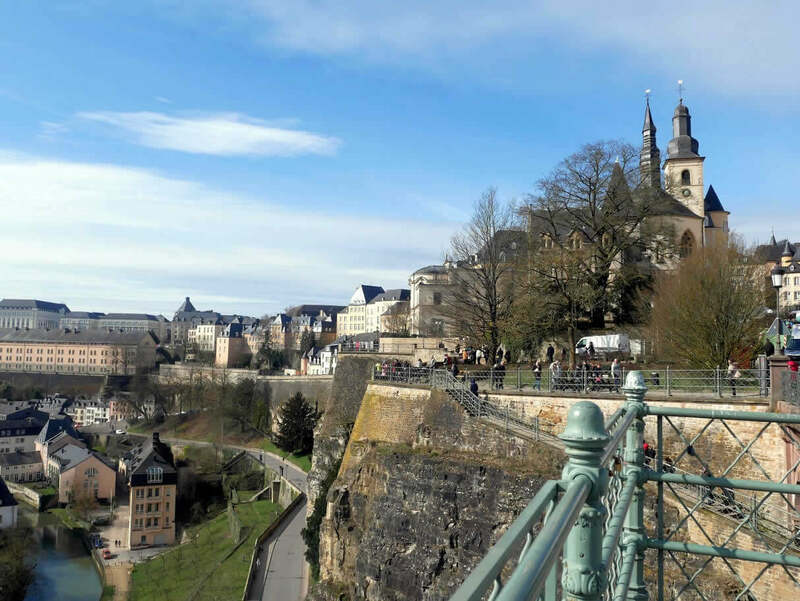 With around 600,000 people living in it, Grand Duchy of Luxembourg is one of the smallest countries in Europe. Situated between Belgium, Germany and France it’s influenced by all of them. Although a small country, there are so many interesting places to see there. 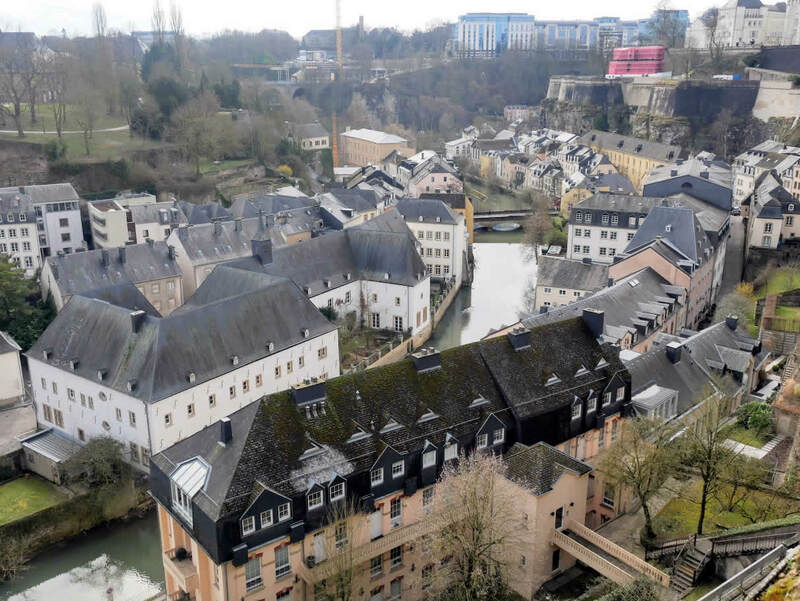 So, here is my Ultimate Travel Guide to Grand Duchy of Luxembourg, with the best things to do while there. 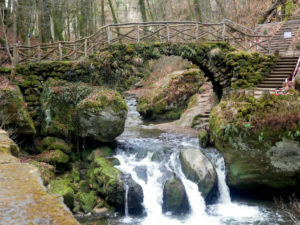 Luxembourg has a great combination of beautiful nature, old towns, medieval castles, rich culture and great cuisine. When I was there I really felt like I was in the old Europe. It definitely has something for everyone. 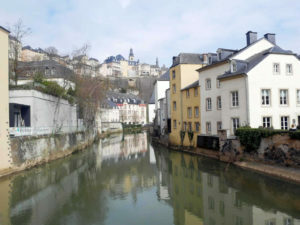 However, good planning is a key when visiting Luxembourg because there are so many different things you could do there. 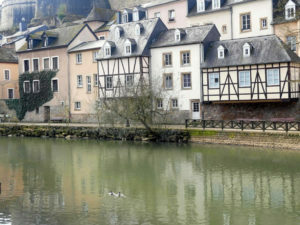 *Rent a car – With its location in a centre of western Europe, Luxembourg is easily reachable by car. You can also fly to Luxembourg Airport. However, if you’re planning to visit some of the smaller towns and castles, then my recommendation is to either travel with a car or to rent one once in Luxembourg. Roads are quite good and a scenery is beautiful. So, driving around a country would be a beautiful experience, as well. *Train from Brussels – There is a train between Brussels and Luxembourg departing a few times each day. You can check the schedule at a link here. 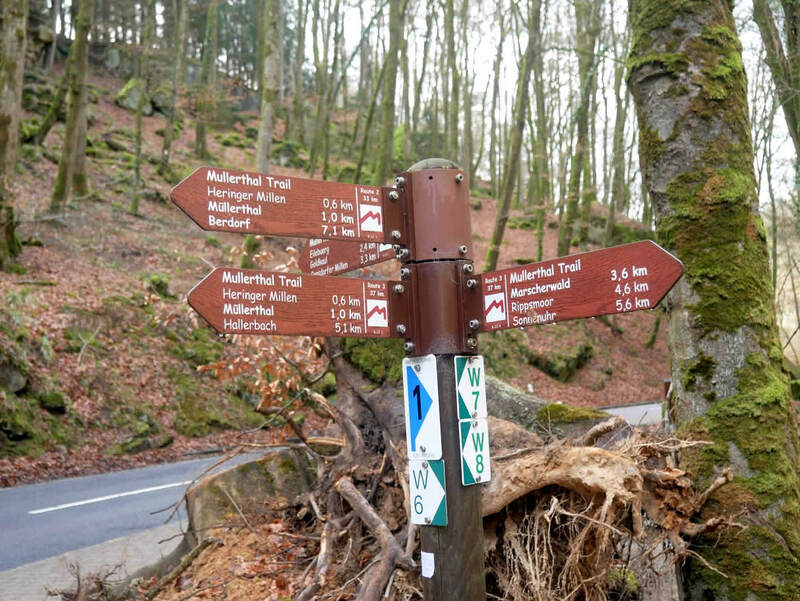 *Language – Luxembourg has three official languages: Luxembourgish, German and French. Luxembourgish is a language people mostly speak between each other (it’s quite similar to German). French is a language of business, while German is used in media. Many people spoke Dutch with us, but surprisingly, we had some difficulties with finding people speaking English in smaller towns. 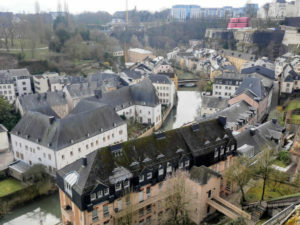 *Nearly half of population are immigrants – Around 50 percent of people living in Luxembourg are not Luxembourgers. Having one of the best economies in the world and being one of its banking centres, it’s definitely very attractive as a business centre to many people. *Food & Drink – Luxembourg cuisine is a combination of German and French food. Someone said to us: ‘It’s a combination of French quality and German quantity’. And I would describe it the same way. It was a bit surprising for me that the country has a notable wine production. I’ve tried some Rieslings and they were great. *Second World War – Luxembourg was badly hit by the Second World War. Although officially neutral it was occupied by the Nazis in 1940. There are many museums, interesting sights and cemeteries where you can learn more about the Second World War in Luxembourg. You can see the list of all of them on a link here. 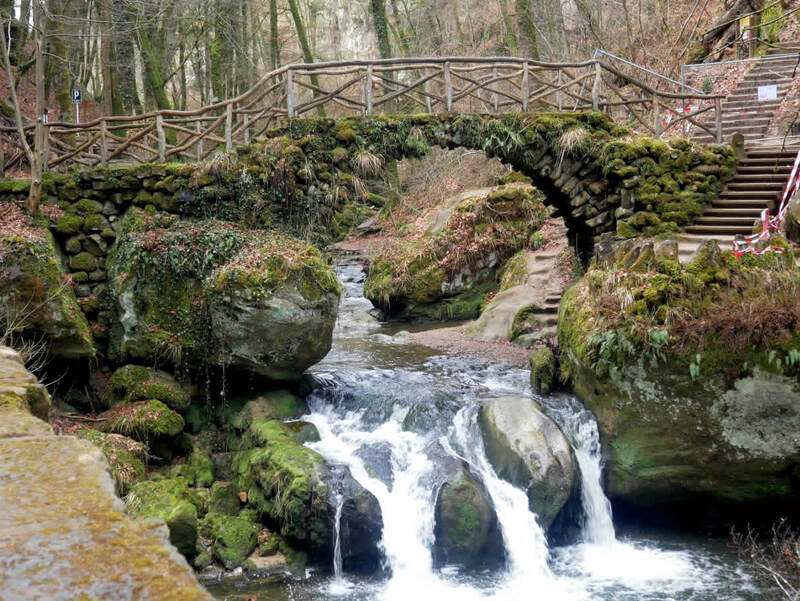 Luxembourg has a beautiful nature and more then a third of a country’s surface is covered by trees. 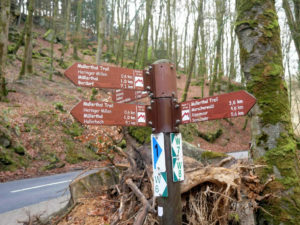 One of the most famous hiking trails there is the Mullerthal Trail that’s 112 km long. There is a big range of difficulty levels, and everyone can find a trail for themselves. I especially liked the program called ‘Hiking without luggage’. 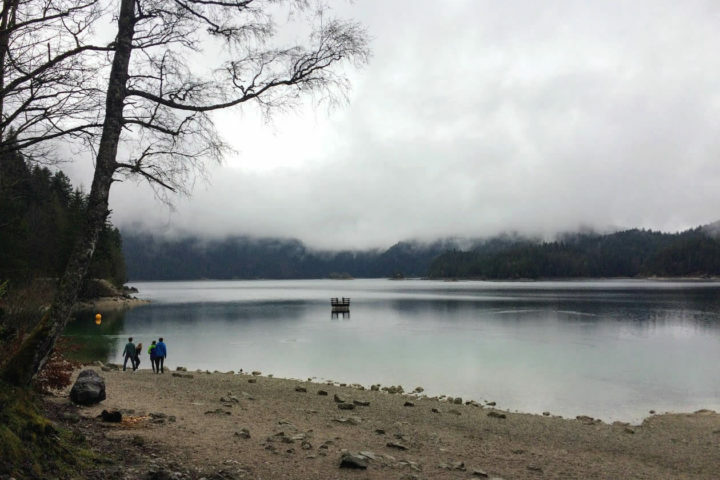 It allows you to follow your hiking route without carrying a heavy backpack. Instead it will wait for you in a next hotel. There are many camping sits all around the country, as well. So, it’s a perfect location if you would like to stay in a nature. 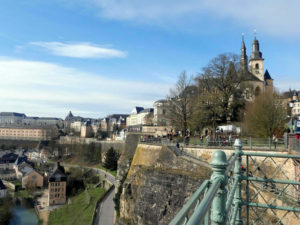 Luxembourg City had an important strategic role during the history. It was protecting the Low Countries and that’s why its fortress has been built during the nine centuries. You can still see its remains quite well. Today, they are a lovely place for a walk while enjoying the view on the old town. As a part of its defending walls Luxembourg City also has some 23 km of casemates. Built in 1644, they gave the city a name ‘The Gibraltar of the North’. They weren’t only a shelter for soldiers and their horses, but were also a place for slaughterhouses, workshops, storages etc. Place Guillaume II is the main square in the city. It has been there since the 13th Century and it was named after William II. 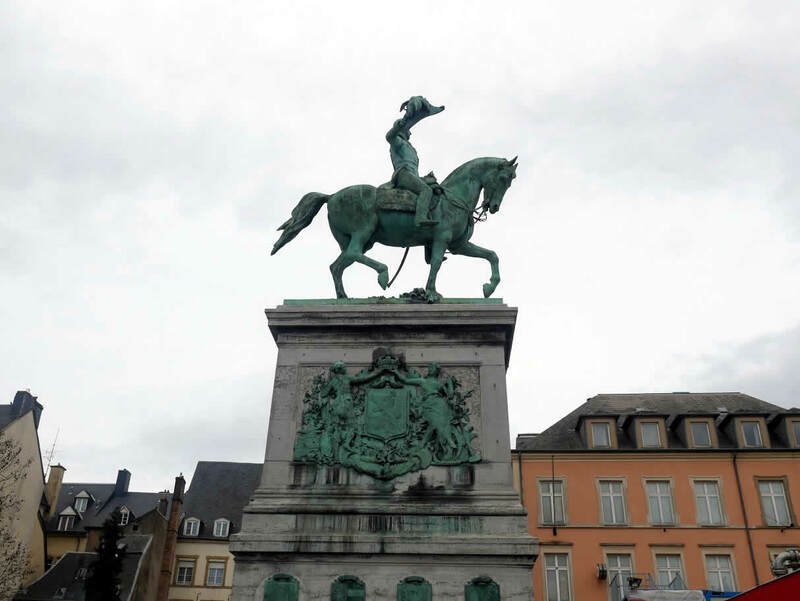 He ruled as a Great Duke of Luxembourg between 1840 and 1849 and his statue is still decorating the square. Exact copy of this statue is in The Hague since William II was also a Dutch king. City Hall built in 1830s in Neoclassical style is also located in this square. Nowadays, a market is organised in front of it. 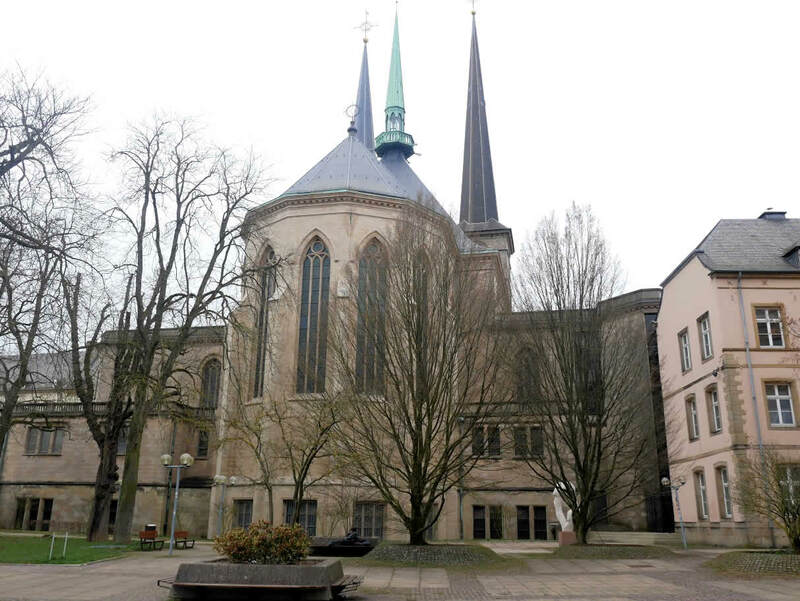 *TIP: Place Guillaume II is also the location of Luxembourg’s Tourist Office. You can get information about the city, brochures and a city map there. They’re also organising city walks each day. We’ve joined one of them and learned so much about the city. You can read more about them at a link here. A perfect place to learn about more than 1000 years long history of Luxembourg. Museum is located in four historical buildings joined together. However, it’s architecture also has some modern additions. A huge glass elevator is giving you a unique chance to see the structure of the rock and the old architecture while it will take you to the museum upper level (and will save you from some climbing to the upper town). 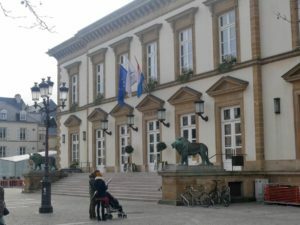 The palace is the official residence of Grand Duke of Luxembourg. He has his offices there, this is where he’s receiving official state visitors and where a special celebrations are organised. 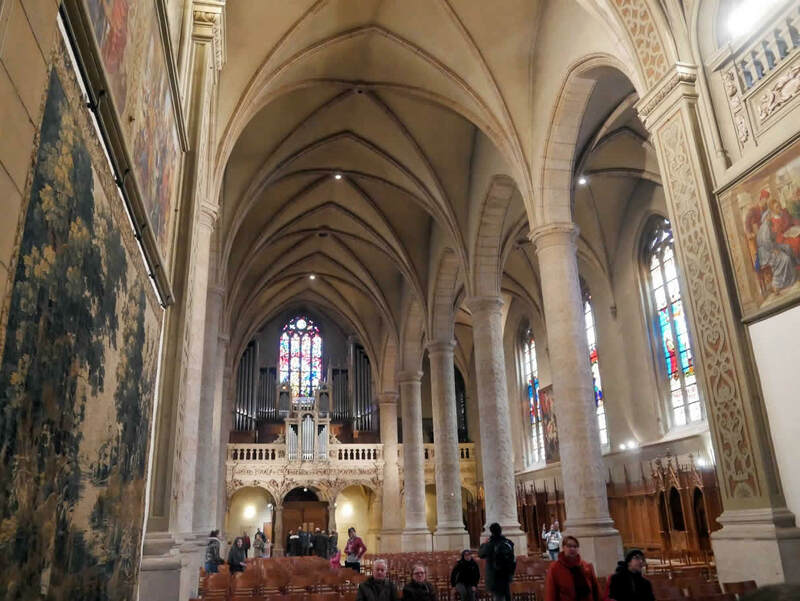 It was built during the 16th Century and it’s a great example of the Flemish Renaissance. Palace is guarded by the special soldiers and could be visited during the summer period. Grand Duchess Charlotte was ruling over Luxembourg from 1919 to 1964. She was very popular among Luxembourgers, so they’ve erected a statue in her honour after her death in 1990. It’s located at the Clairefontaine Square. 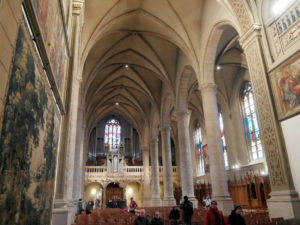 The only cathedral in the whole country was built in the 17th Century, originally as a Jesuit church. It’s an interesting combination of a late Gothic style and a Renaissance elements. It is also a burial place for royal family members. Just outside the cathedral is another interesting sight. Gëlle Fra Memorial on the Constitution Square. It was erected in 1923 in honour to all citizens who participated in the First World War. It’s a statue of Greek goddess Nike located on a 21 meters tall obelisk. During the Nazi occupation in 1940 the statue was destroyed. However, it was restored and erected once again in 1984. Lower town is filled with small picturesque streets that reminded me on Paris a little bit. There is an elevator that’s connecting upper and lower town. 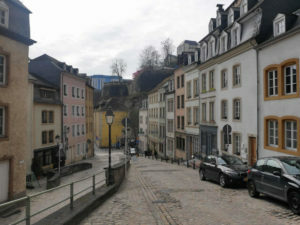 It connects the Plateau du Saint-Esprit to the Grund area. It’s free of charge. A huge church complex you’ll see in the lower town is the Neimënster. 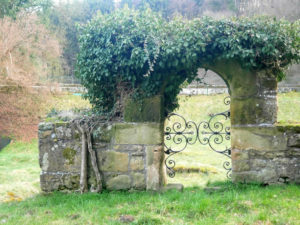 The old Benedictine abbey that was once here was destroyed in 1542. The church and monastery were rebuilt later on. After the French Revolution it became a military hospital. It was used as a prison later on and remained that until 1980. It’s a cultural centre today. Very close to the Neimënster is the National Museum of Natural History. A place where you can learn about the universe, different regions and species living in Luxembourg. There are around 130 castles in Grand Duchy of Luxembourg and many of them could still be visited. Vianden is absolutely one of the most beautiful castles I’ve ever seen. Located on a top of the hill above a small town of Vianden, it looks like you’ve stepped back to the Middle Ages. Castle can be visited and it has a lovely museum and a restaurant inside of it. 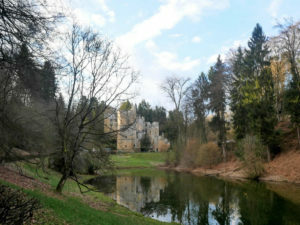 Beaufort is a castle located around one hour ride from the Luxembourg City. It was protected by a moat that could still be seen today. There is a nice walking trail next to it, so it’s a great place to enjoy in both medieval architecture and a nice nature. Another Medieval castle that was protecting the country. It’s interesting because of its triangular shape. Although under the reconstruction in a moment, it’s still worth visiting. Grand Duchy of Luxembourg is a small country, but it has a rich history, beautiful nature and so many interesting places to see. It would be impossible to mention all of them here. 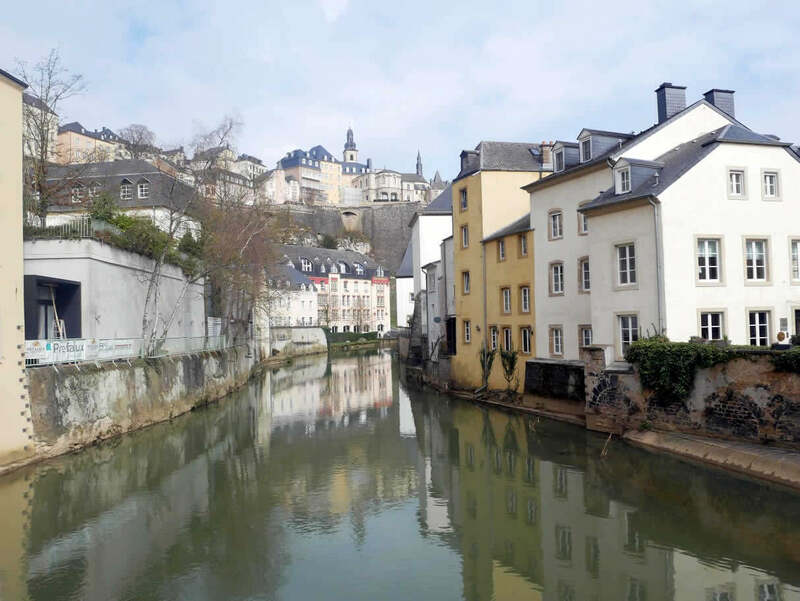 However, this Ultimate Travel Guide should be a good start for planning your trip to Luxembourg.